The accident involved a collision between a sport utility vehicle (SUV) and a full-sized semi tractor-trailer. Following the accident, the truck had burst into flames, and the SUV was found on the side of the road with the front end destroyed and one side crushed. The driver of the truck and the driver or the SUV were both killed as result of the injuries they respectively sustained in his horrific truck vs. car accident.While local police are still investigating the cause of this double fatal car accident, along with assistance from the Massachusetts State Police (MSP) accident investigation and reconstruction team, it is believed that driver of the SUV was traveling in a northbound direction on Rte. 140 near Medford when he allegedly veered across the center line and crashed head-on into the semi tractor-trailer. When first responders arrived on the scene, firefighters went to work out putting out the blaze, so the driver of the truck could be pulled out. However, it soon became apparent that this one time recuse operation had become a body recovery operation. As for the driver of the SUV, paramedics could get to him without any issue, but he was non-responsive and was soon pronounced dead on the scene of this fatal Medford truck accident, along with the driver of the truck, when a representative of the Office of the State Medical Examiner in Boston arrived on the scene. As our Boston truck accident attorneys have seen in far too many cases, when a car collides with a truck, regardless of whose fault the accident was, there is likely to be extensive damage. The reason for this is because of the sheer weight of a truck that can weigh up to 80,000 pounds in most jurisdictions, as compared to the much lighter weight of a car. Also, the truck does not have crumple zones on much of its surface as we see with a car. This is not to say there are not any required safety systems or features on a truck. 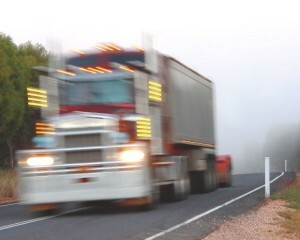 For example, a trailer being pulled by a semi-tractor (truck cab) should have an underride guard that is clearly marked with reflective tape or decals. The often red and white stripped bar that extends form the lower rear edge of the trailer is there to prevent a car from running under the trailer towards the truck wheels. If this were to happen, the lower half of the trailer would come crashing through the car windshield. This can result in the car being torn in half and the driver being killed or seriously injured. In addition to an underride guard, many trucks that operate in cities such as Boston and Cambridge will have a side guard to prevent a pedestrian, cyclist, or other car from getting crushed under the truck wheels and killed. Whether these are required is a matter you should discuss with an experienced truck accident lawyer. If any of these systems were not maintained properly, this may be part of your valid truck accident claim.